Transport Layer Security, widely known as Secure Socket Layer or SSL is the most popular application of public key cryptography in the world. It is famous for securing Web browser sessions, but it has widespread application into other tasks. However, when used improperly, TLS can give the illusion of security where the communications have been compromised. It is important to keep the certificates up to date and check rigorously for error conditions. 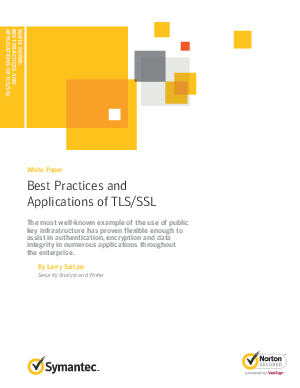 This paper explains TLS and its best uses.